So I have a blog. I said I would never do this but here I am. Not sure if I have anything to share that is worth while, but I'll give it a shot. I will mostly be using this blog as a promotional tool for my jewelry business. 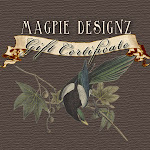 (Magpiedesignz.etsy.com) Make sure you check back often because I will be having monthly promotions. 1.Mostly an Interior Designer by day- hopefully this economy will turn around soon. The most exciting job right now is my jewelry business. I haven't slept much since this began. I am constantly coming up with new designs, writing them down on a bedside notepad in the middle of the night. I am super excited about the future of magpiedesignz and hope to be featured in many local shops. See below for a little taste and check out my shop and give me some feedback! And look back for February's promotion!